check out the FitLabPGH Podcast episode featuring Jenn Grieb, released 3/26/17. check out the FitLabPGH Podcast episodes featuring Menachem Brodie, released 12/17/17. check out the FitLabPGH Podcast episodes featuring Frank Velasquez, Jr., ATC, CSCS, released 9/10/17 and 1/28/18. 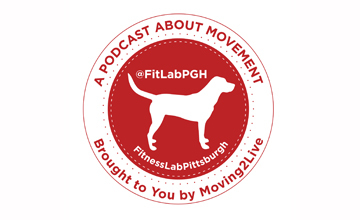 And check out the FitLabPGH Podcast episode featuring Brian Joly, released 10/15/16. And check out the FitLabPGH Podcast episode featuring Ron Edwards, released 2/10/17. And check out the FitLabPGH Podcast episode featuring Wade Desai and Travis Warner of the Steel City Slackers, released 7/23/17. And check out the FitLabPGH Podcast episode featuring Dan McCoy, released 1/7/18. Check out the episodes of Moving2Live (our sister podcast) featuring Rick Howard, released August 30, 2017 and September 13, 2017. National Strength and Conditioning Association (NSCA)- World-leading membership organization for thousands of elite strength coaches, personal trainers and dedicated researchers and educators.